IIFT And Its Seven Attributes! Long time ago, this institute was set up to assist Ministry of Commerce in areas of Trade Research and International Trade Policies. Little did they know that IIFT (read as Snow White) would build an unequalled brand of itself. Campus Life: The MBA aspirants, in the midst of a competitive war, trying to roll out matchless strategies in order to become the most sought-after managers of tomorrow, seek a breeze of fresh air, hope and de-stress. Parties, fun night-outs, gossips, life discussions, classroom tease, business events, cultural events etcetera re-energize you with the magic potion. 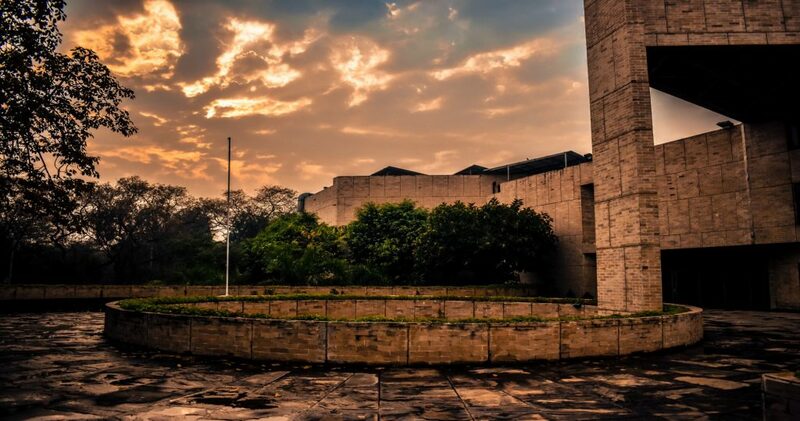 Its Uniqueness: Perceived for magnificence in scholastics, astounding business administration program and commitments to industry, IIFT is a standout amongst the most renowned business administration foundations in the nation. The Institute with its extraordinary pool of resources, framework and culture sets itself apart. However, with numerous B-schools in the nation, one can’t do anything besides ponder – what makes this institute one of a kind? Ever wondered, what goes behind a country’s economy that flourishes? – It’s Trade policies! And at IIFT – we build the future Traders. Policy Makers. And the Musketeers of Brand India. IIFT presents the most specialized courses in Foreign Trade under the able guidance of professors who help in the making of Union Budget and many other government portfolios. Its Students: What makes a brand? Is it the infrastructure? Location? Faculty? The answer is none of these. Students – who go out and perform, uplift corporations, bring innovations, improve society, that is what builds a brand for any college. IIFT truly lives up to – “Unity in Diversity”. Here, at this campus, you grow and grow-up with peers. People from all the spheres and strata come in touch and dwell in. Port Visit: With is excellence and prowess in Trade, IIFT has a unique inclusion in its course. There is a well-defined structure and MoU where-in every year MBA-IB students visit various ports in India/abroad. This helps students acquire first-hand knowledge of Port Operations, Custom Procedure, Shipping and role of other trade facilitating agencies. In addition, interactive sessions are arranged with corporate managers and trade promotion agencies during the visit. It is an educational trip where peer to peer learning, travel fun and live experience of real commodity exchange management is gained. Alumni Network: With a strong history and a rich legacy, IIFT has produced some of the best leaders out there in the world. All the high-profile individuals who have accomplished and achieved great heights in their career, are well-connected to their alma-matter: IIFT. This culture of belongingness and giving back that this institute imbibes brings out the richness. NGO Stint: This is a compulsory credited course. Every student at IIFT has to work with an NGO for the stated amount of time to bring about a meaningful contribution to the society. Having the ability and potential that each student possesses, IIFT provides a platform to be aware of social problems and help to come up with innovative solutions that will make a positive impact and improve lives. Experience it: Its only so much that can be written. Well, IIFT has some legacy culture that it follows. No one ever discloses those trends and practises. It is done to give everyone a fresh perspective in life. What good will it be if someone elaborates the experience of a roller-coaster ride? Experiments and experiences are to be remembered and not to tell a tale. Therefore, Come, Experience and Zeal in you the Future Leadership! And this is how Snow White happily lived and will live, prosper and nurture with its 7 dwarfs. Which ABG Company and Why? I would like to see myself working for Aditya Birla Idea Payments Bank Ltd. Any business or trade or economy revolves around financing. Money mantra makes or breaks deals and customer relations. That being said, with the state of the art technology existing to ease users’ life, machine learning is picking up, and in this context the banking systems need also need to manage and understand user needs, predict customer behaviour and thus prepare themselves as well provide customers with deals and options that might serve fruitful in future. And thus, I would want to understand the customer centric policy making nuances and portfolio management and vetting the risks associated.